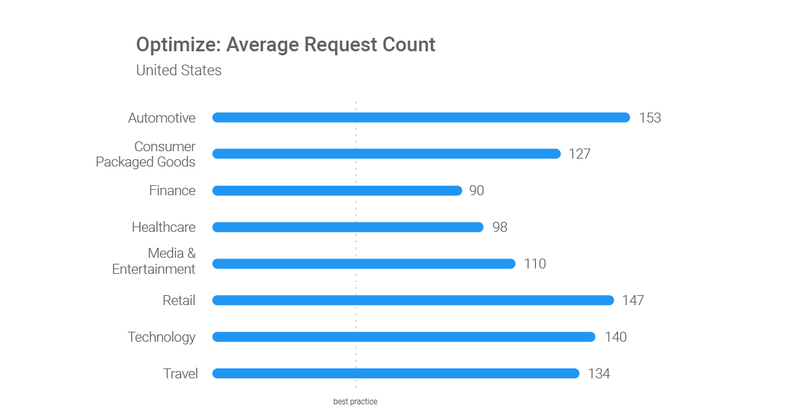 This article has been updated with new data. 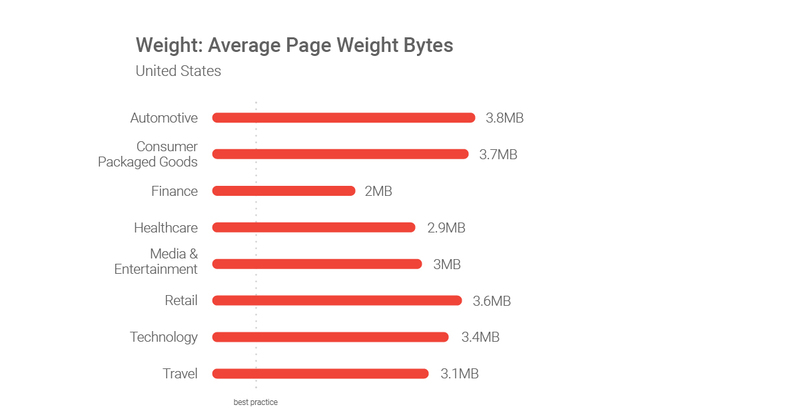 It was originally published in February 2017. 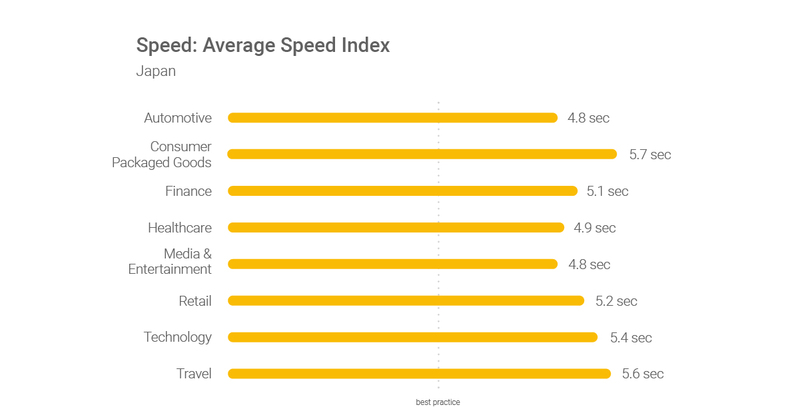 Our data shows that while more than half of overall web traffic comes from mobile,3 mobile conversion rates are lower than desktop.4 In short, speed equals revenue. 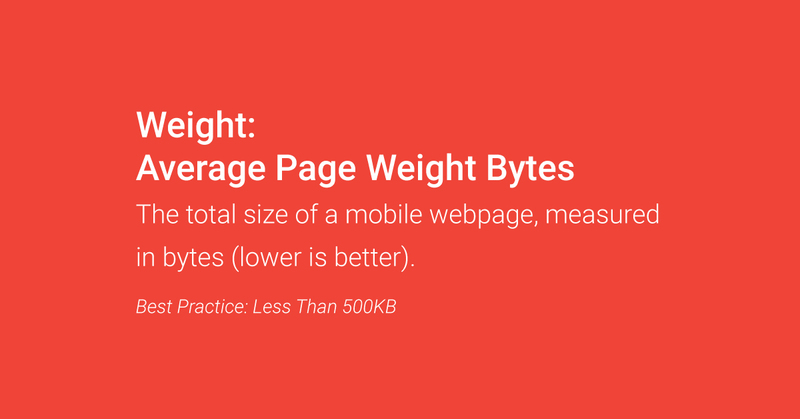 And sometimes, leaner is better too. 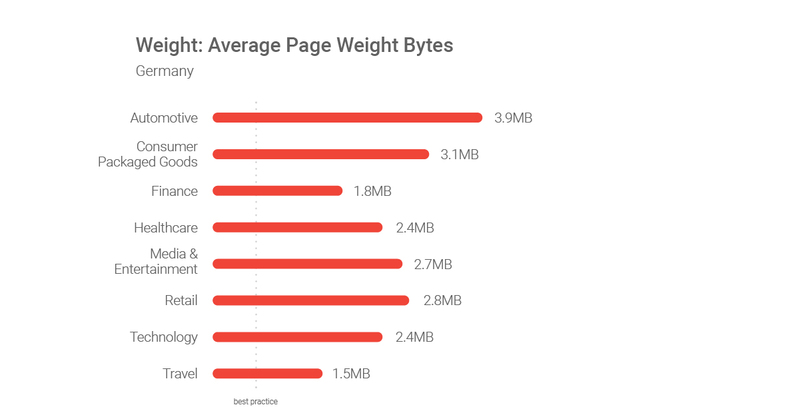 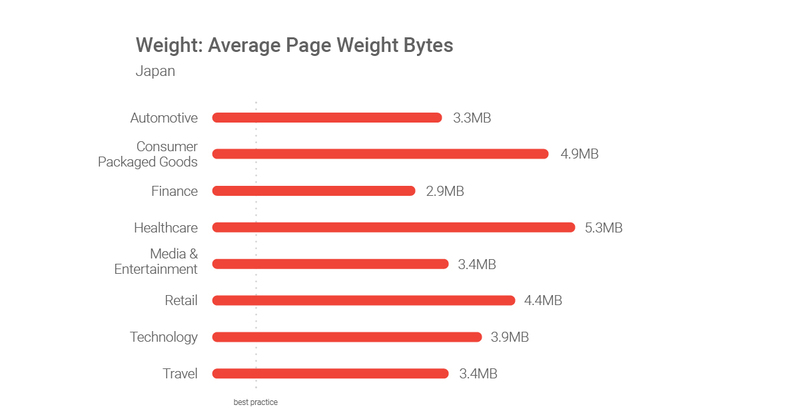 We found that 79% of pages were over 1MB, 53% over 2MB and 23% over 4MB.9 One image in particular caught our attention: It weighed a whopping 16MB. 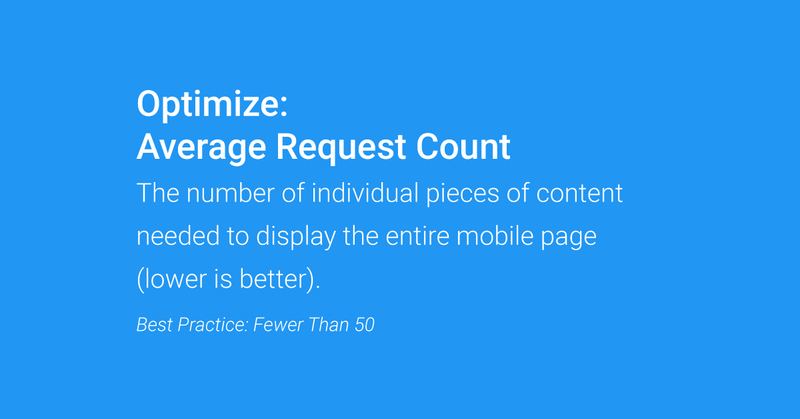 But despite the bad news, there’s plenty of low-hanging fruit. 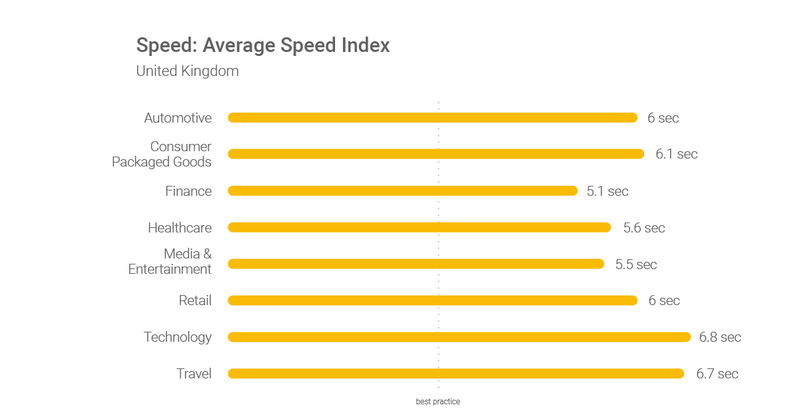 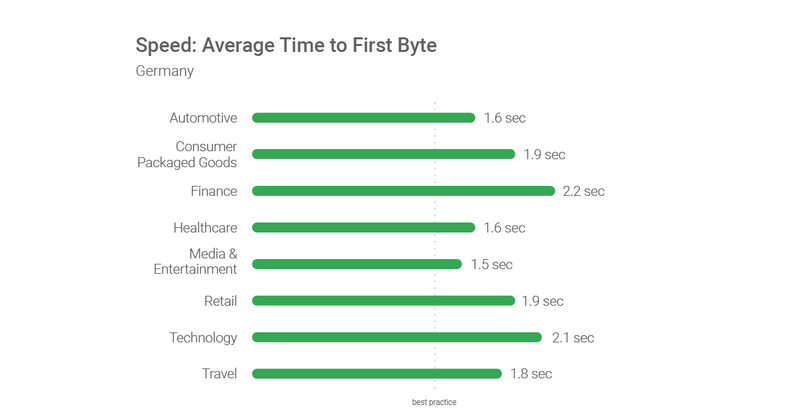 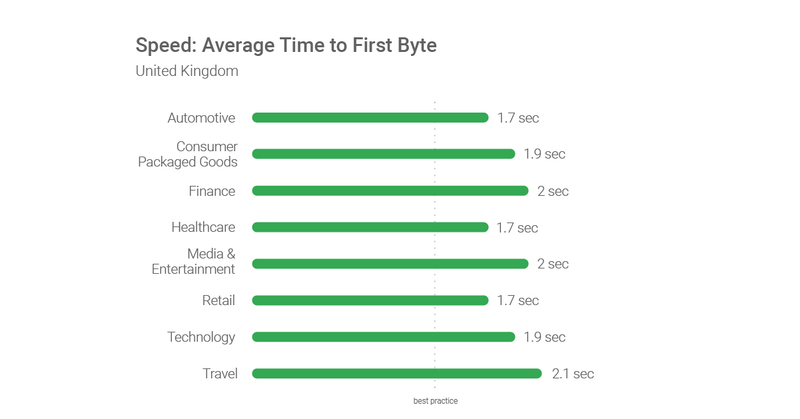 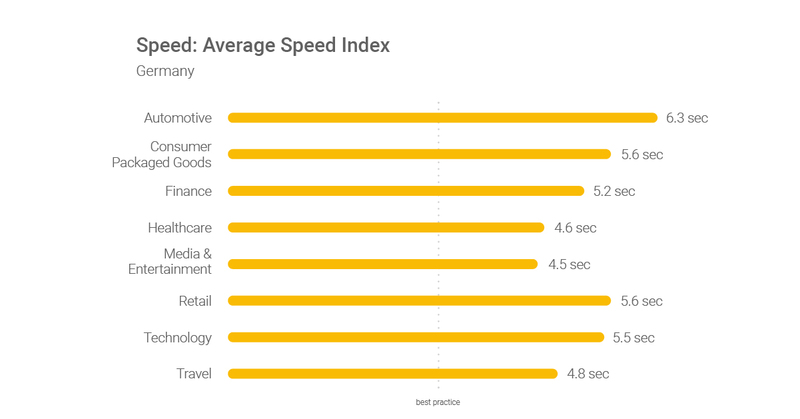 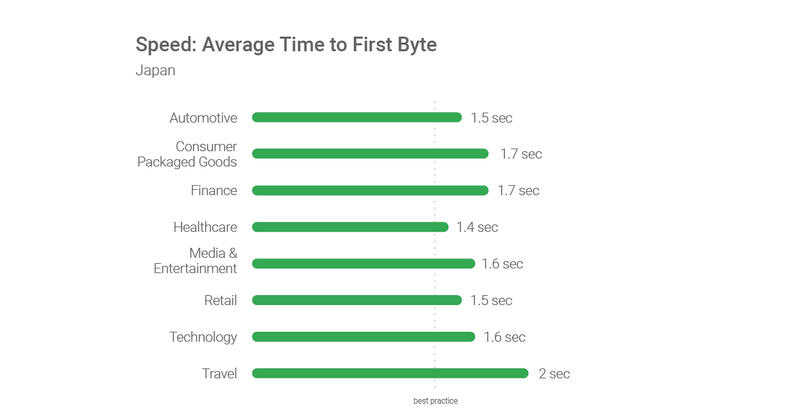 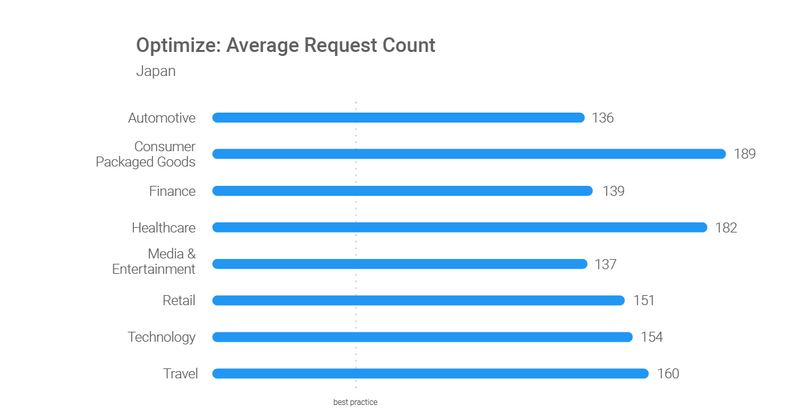 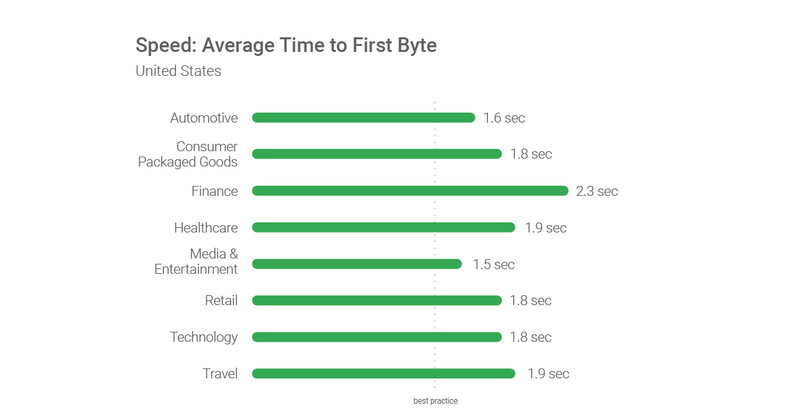 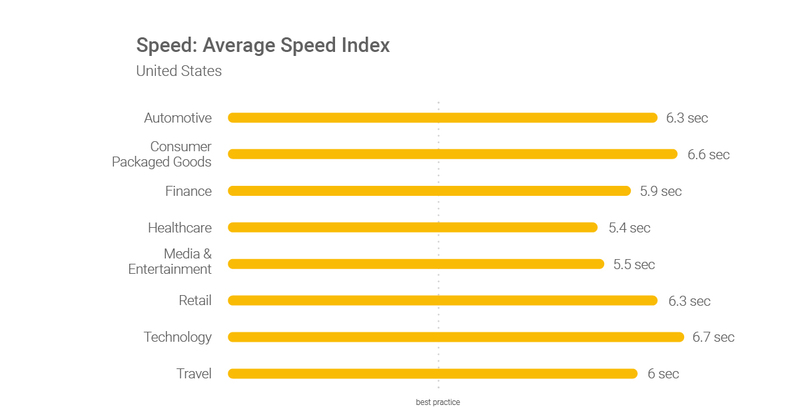 Simply compressing images and text can be a game changer—25% of pages could save more than 250KB and 10% can save more than 1MB that way.10 Our analysis shows that the retail, travel, and healthcare sectors have the most room for improvement. 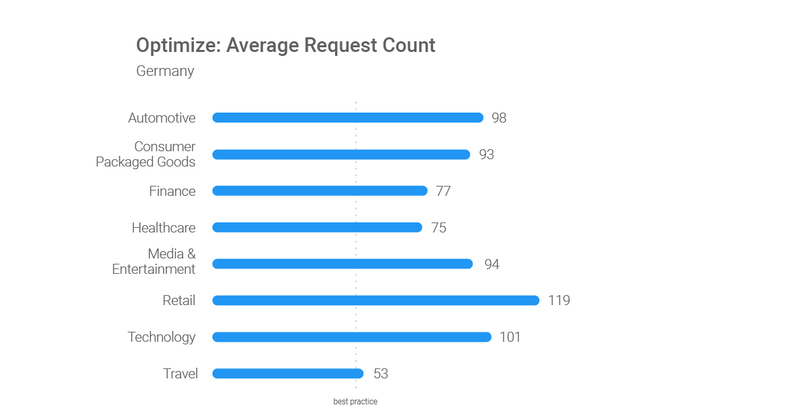 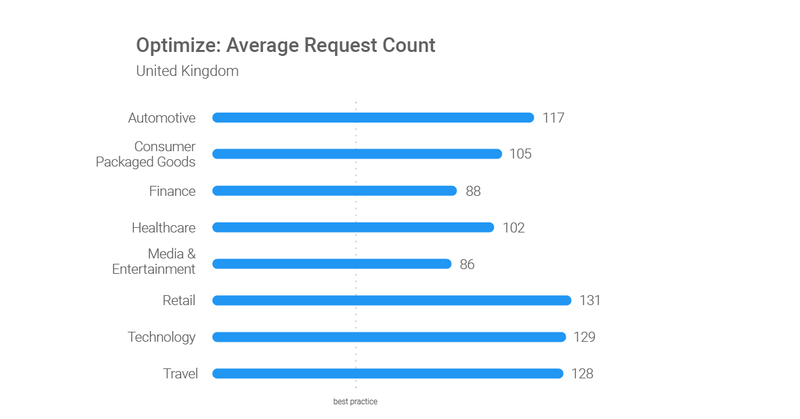 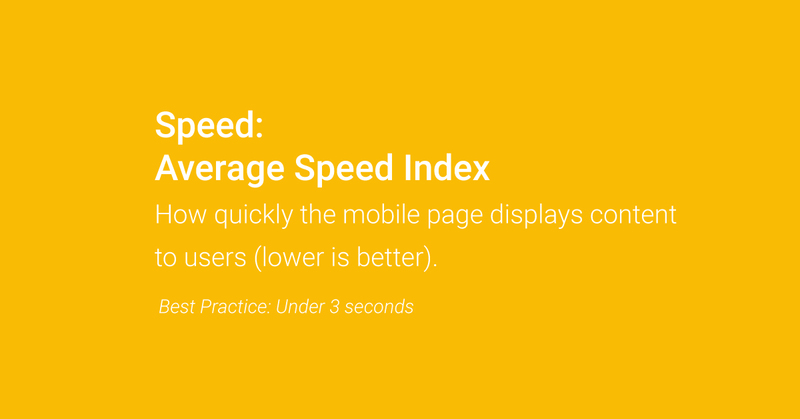 When it comes to mobile pages, speed and size matter. 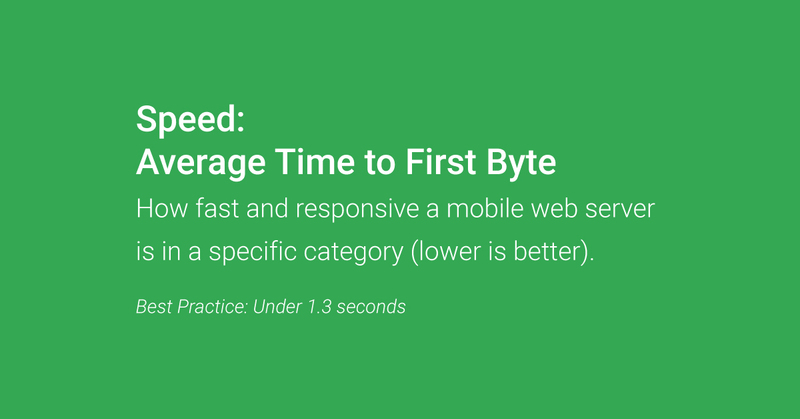 Marketers must keep people engaged on mobile and focus on building mobile-first experiences. 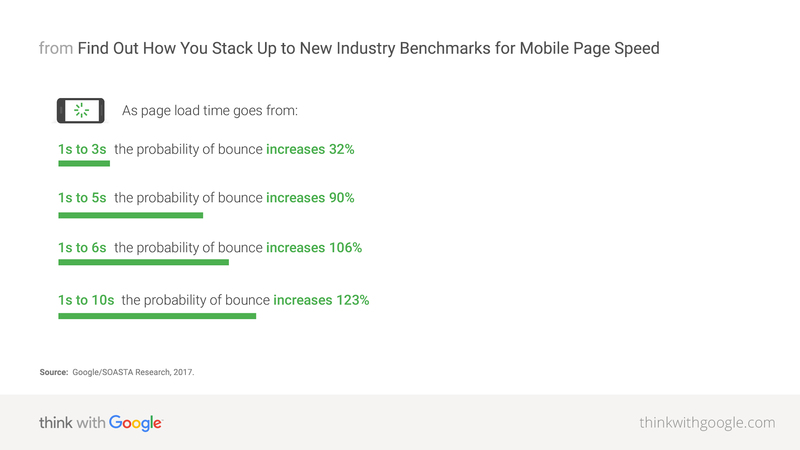 Check out the charts below for a global perspective on mobile across industry sectors, including guidelines for speed, webpage size, and the number of content pieces per page. 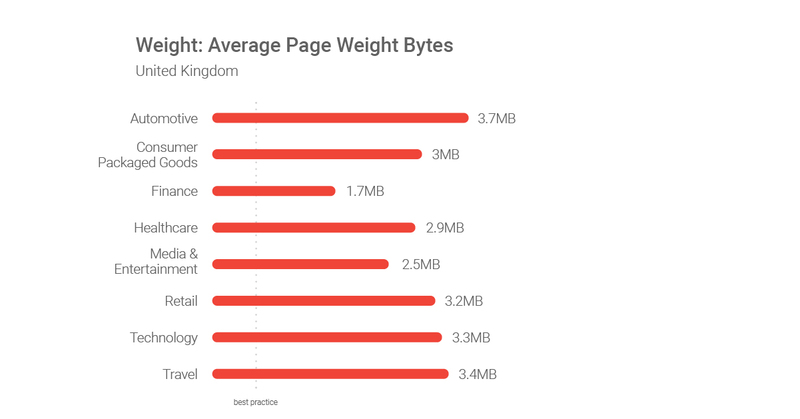 10 Google Research, Webpagetest.org, sampled 11M global mWeb domains loaded using a globally representative 4G connection, January 2018.